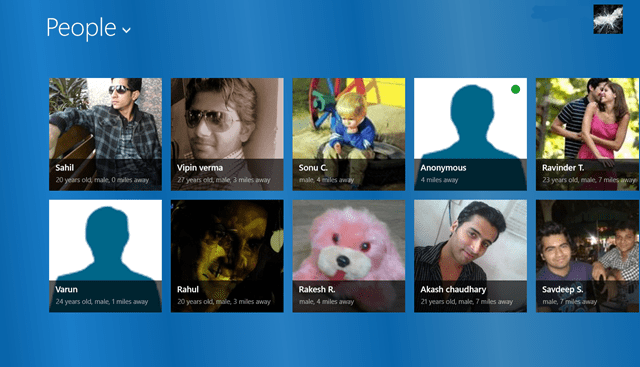 WNM Live is a free Windows 8 social networking App which is unlike other online social networking apps give you the liberty to chat or interact with anonymous bunch of people. May be, you guys are thinking that, that’s the same kind of thing we do on Facebook or Twitter or any other online social networking website. Then, what’s new with this application? Let me tell you folks, this little Windows 8 social networking app will let you chat with any random person living nearby your house or your sub urban areas or from any other place. Just login with your Facebook account and you can have a number of people hanging through a single thread in front of your eyes on system’s screen. This app for Windows 8 gives you the privilege of chatting with anonymous people who lives few miles away from your home or say, your workstation. WNM Live tells you the approximate distance of that person from your home in miles. 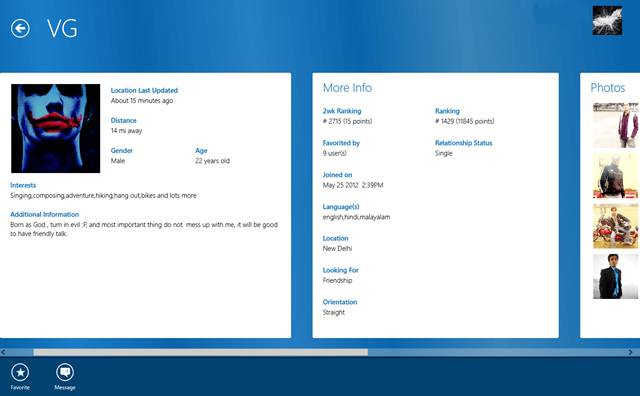 You can easily sneak up into their profiles and can read their bio, can have their updates on your home page. It is called Live Streaming. You can also put your bio on your profile and can upload your photographs and in addition to that, collect number of badges on the basis of WNM use. You can easily check your conversation and send virtual gifts to your fellow friends or say, anonymous fellow friends. Select people and read their profile, add them as their favorites, make new friends and have fun. Well, let me remind you one thing guys, putting your contact details or address will not be a good idea on this Windows 8 app as not every person on this site is as good as they seem to be. So please restrain that. Overall, you can give it a try and make new friends. 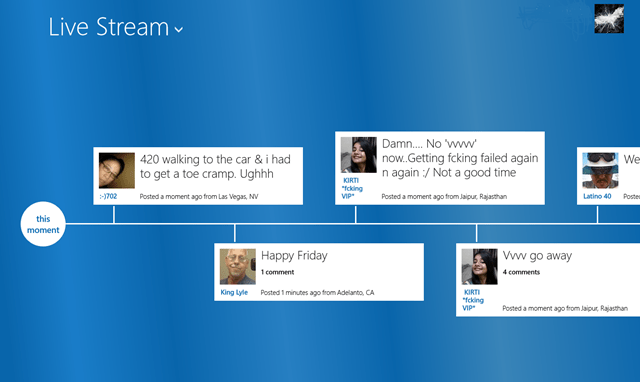 Check out WNM Live available under the “Social” category of Windows 8 store.